Copyright (p) 1999 Raven Music. All rights reserved. Unauthorized duplication is a violation of applicable copyright laws. All songs Copyright © 1998 Raven Music. All rights reserved. Copyright © 1989 Raven Music. All rights reserved. Copyright © 1998 Mary Larson. All rights reserved. 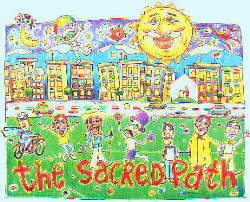 Raven Music announces the release of The Sacred Path. New Music for the pilgrimage of life! Songs to light the way. 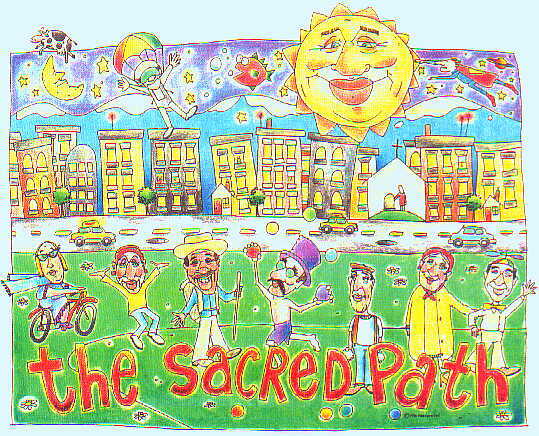 Composer Ron Ellis has worked in the youth & young adult ministry retreat area for the last 10 years and out of that experience has come the songs for The Sacred Path. Songs are adaptable to prayer, worship, and retreat settings. The retreat program is full of ideas and practical information to anyone interested in youth and young adult ministry and retreats.